Big Data is a term that is used to describe huge volumes of data that can be analysed in order to discover patterns and trends. This can help organisations review and improve almost any aspect of their business in order to make better decisions in the future. Going by this definition, Big Data and bulk logistics should be made for each other. Bulk logistics produces large amounts of often unstructured data, and Big Data solutions can take that data and allow smarter strategic thinking around how to improve processes, increase efficiency and create new opportunities. But collection of high-quality data is often a sticking point and Big Data is a relatively untapped asset. It requires a change in mindset and an understanding of how it can be used in real-world situations. Bulk logistics can be incredibly complex, and on top of that many businesses in the supply chain will have to adapt to changes in the landscape in terms of technology as well as economic pressures. But Big Data can offer an edge. Could Big Data make the difference? In some ways Big Data offers a simple pathway. The more collected real-time data available, the more value and insight on optimisation can be put back into supply chains. However, the challenge for companies is to be able to cope with this huge amount of data. The biggest gains are often in the delivery stage, which includes task management, tracking, navigation, scheduling and more. After all, these are data-driven operations that can be analysed and reviewed in order to make them more effective. The truth is that today, most large-scale logistics operations require data to run efficiently and the earlier the information is available and the more precise the information is, the better that managers are able to optimise. 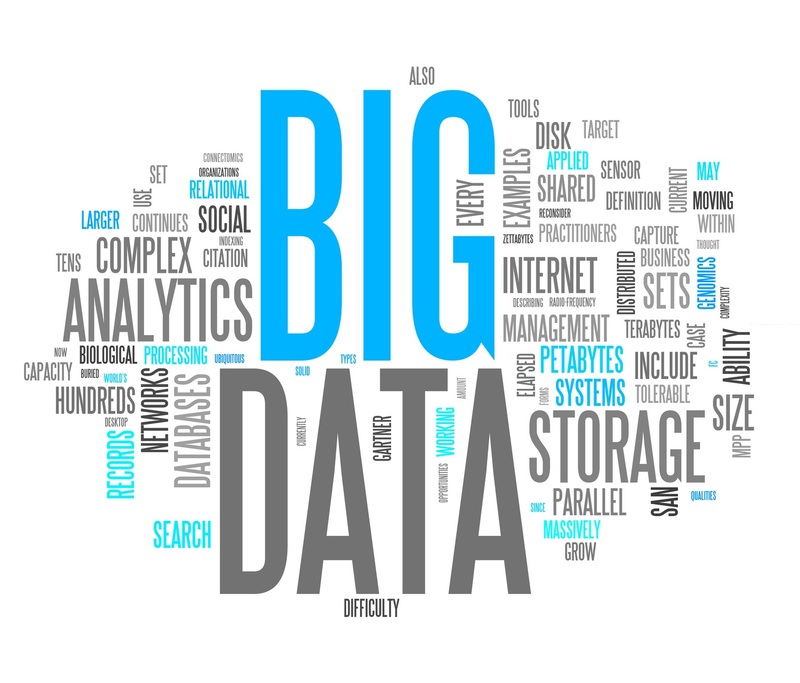 Big Data concepts offer new methods to generate valuable insight. In addition to opportunities to improve, the application of analytics to large (and high-quality) data sets often reveals risks and provides resilience against disruptions. Delivery is the last and often the most expensive aspect of the supply chain and maximising the performance of delivery staff and vehicles is crucial. As mentioned below, the introduction of mobile devices able to track and provide real-time information on the status of deliveries is key to creating an effective operation. New technology and the abundance of data available is causing the supply chain to be seen more as a network than a chain. It’s not only about completing your own tasks as quickly as possible and handing over to the next part of the chain. To achieve the speed and – just as important – the flexibility that is often demanded, all processes need to be reviewed and optimised to deal with new fluctuations. In some cases, it can even help to predict them. With Big Data the dynamics within and outside the distribution network can be analysed and impact on capacity requirements calculated in advance. For example, real-time information about deliveries can be reviewed to predict the allocation of resources for the next day. As well as using data to inform operating personnel to scale capacity up or down in each particular location, forecasts can also be made to reveal assess congestion on routes or delivery locations. Data by itself is little use without organisation and review. That’s why the difference between success and failure will lie in how data is used. It will have several knock-on effects, from increased transparency to seasonal trend predictions and how operational demands can be met more efficiently. A better understanding of the supply chain through data will also open up new opportunities, long-term growth partnerships and potentially entirely new business models. From staff to the machines they use and the processes that they undertake, digitisation means that they all have a voice, and all provide data in real-time. This can all be used to uncover new insights with relatively little human interaction in deciphering the data. Of course, there are some obstacles in the way. Many of which will have prevented organisations from considering Big Data opportunities to this point. Data quality, privacy concerns and technical feasibility are just a few of the hurdles that Big Data faces. But it’s becoming clear that these issues must be navigated as the benefits are huge. TouchStar is recognised as market leader in technology solutions for the bulk delivery market. With more than 30 years of experience, TouchStar has a portfolio of solutions to assist in bulk delivery, including navigation, job allocation and driver communication. The product suite offered by TouchStar creates a robust interface between hardware and back office business systems. As well as optimising processes and boosting efficiency, this flow of real-time data gives businesses the visibility and data they need to continue making smart decisions and improve their strategy. Furthermore, TouchStar ensures a fully scalable and futureproof solution that meets both operational and strategic objectives.